If you were hurt in any kind of Lauderhill accident or incident, the Lauderhill personal injury lawyers at the Wolfson Law Firm can help you and your family. Our personal injury lawyers have helped the people of South Florida since 1963. We have offices in Fort Lauderdale, Miami and West Palm Beach. You can come to our offices or we can meet with you at the time and place that is convenient for you. Just call us at (305) 285-1115 or toll free at 1-855-982-2067 for your personal consultation today. If you were injured, then you owe it to yourself and your family to investigate and determine if some person or company is responsible for your injury and damages. Think about it – if you were injured due to the negligence of another then that individual, corporation or insurance company should be held accountable for your damages. It isn’t fair for your family to bear the cost of medical expenses, lost wages and other damages all by yourself. You shouldn’t be a silent victim Let the Broward accident lawyers at the Wolfson Law Firm help you figure out if there is a responsible person or corporate entity that needs to be held accountable. If our investigation shows that no one is responsible we will tell you. But it will not cost you anything to find out if there is a potential defendant for your Lauderhill personal injury case in Broward County. Why is there no cost? Because all our personal injury cases are based on a contingency fee contract in accordance with Florida law and you will never owe an attorney fee unless you make a financial recovery for you. All you need to do is contact us and allow us to get to work for you and your family. Lauderhill is located in Broward County, seven miles northwest of Fort Lauderdale and 35 miles north of Miami. Its boundaries include Tamarac to the northeast, Plantation to the south, and Sunrise to the southwest. Lauderhill is accessible to the Florida Turnpike, Interstates I-75, I-95 and I-595 and the Sawgrass Expressway. 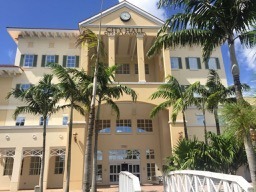 Lauderhill Area Attractions include a wide variety of recreational activities with numerous parks, tennis courts, ball fields, and swimming pools. The Broward accident lawyers at the Wolfson Law Firm are ready to help the people of Lauderhill after any type of accident. We invite you to review our results and qualifications. We are committed to pursuing and achieving the justice you deserve after any accident and injury. Our Broward injury attorneys help the good folks of Lauderhill from the first call through the resolution of your case by settlement, jury verdict or appeal if necessary. We don’t refer our cases out for litigation or trial. In fact, we regularly accept referrals from our strategic partners who want us to litigate and/or take a case to trial. Just call us today and let’s get to work on your Lauderhill injury case today. The Lauderhill injury and accident attorneys of the Wolfson Law Firm are proud to serve the good people of Lauderhill, Broward and all over South Florida including but not limited to Lauderdale Lakes, Wilton Manors, Weston, Miramar, Hollywood, Plantation, Palm Beach County, North Miami, Deerfield Beach, Miami Gardens, Hialeah, Sunrise, Plantation, Boca Raton, Wellington, Palm Beach County, Coral Springs and Margate. If you are injured in a Lauderhill car accident of any kind, the Lauderhill personal injury attorneys at the Wolfson Law Firm know what to do to help you. We can come to you or you can meet us at our Fort Lauderdale office. If transportation is an issue, just let us know and we will work it out for you. Just call us at (305) 285-1115 or toll free at 1-855-982-2067 for your free no obligation consultation today. We have provided complete and aggressive legal representation for all types of personal injury cases throughout Florida since 1963. All our cases are handled on a contingency fee basis in accordance with Florida law. That means you will never owe any attorney fee until and unless you make a financial recovery for you. All you have to do is call us and let us get to work for you. Lauderhill was founded in 1959 by Herbert Sadkin. He initially planned to name it “Sunnydale”, but changed his mind after a discussion with a friend who was journalist for the New York Times. He explained that Sunnydale was a neighborhood in Brooklyn he didn’t like and Lauderhill would be a better option. The Broward injury and accident lawyers at the Wolfson Law Firm are ready to help you understand what you need to do after your Lauderhill car accident. But you might wonder how to find the best Lauderhill car accident lawyer? You might ask where would you find the best Broward personal injury attorney? At the Wolfson Law Firm, we recommend that all potential personal injury clients do their homework. The decision of which Broward County accident and injury lawyer is the best choice is a very important decision. We recommend to all our friends, family and clients to research the personal injury lawyer and law firm that they might be considering to represent them in their claim for personal injury damages. The easiest way is to start with Google. Then check the law firm’s website. Ask about their results. Do they use the best personal injury experts in Broward County? Will they go to trial if necessary? Then make sure you meet with the lawyer – not just some runner or investigator. Also, examine how this potential lawyer ended up in your life. Was it based on your research? Word of mouth? Or did some “helpful stranger” show up one day promising you a financial windfall? Finally, above all else, trust your instincts after you do your homework. The Lauderhill accident and injury lawyers of the Wolfson Law Firm proudly serve the residents of Lauderhill, Broward County and throughout South Florida including but not limited to Weston, Hollywood, Miramar, Fort Lauderdale, Miami-Dade County, Palm Beach County, Wilton Manors, Plantation, Miami Gardens, Pompano, Sunrise, Miami Beach, Tamarac, Lauderdale Lakes, Coral Springs and West Palm Beach.